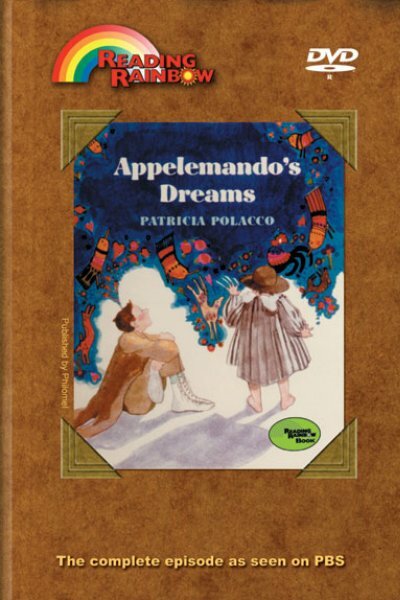 Explore art with Appelemando’s Dreams, a selection from our collection of Reading Rainbow episodes designed to enhance the classroom experience. This video demonstrates how the inspiration to create art can come from anything, from feelings and dreams to actual materials and items we see every day. The story revolves around Appelemando, who spends much of his time dreaming. The villagers are convinced that he will never amount to much because of it, yet in time, his dreams change the villagers and the world around him. A fine choice in educational DVDs, this episode emphasizes expression through art. LeVar explores art techniques and interviews a wire artist, a mural artist, potters, and a sidewalk chalk artist who makes his own pastels. As with all Reading Rainbow DVDs, this selection can facilitate hands-on and instructional lessons by offering another layer of learning. Reading Rainbow episodes work within the curriculum to enhance the experience for students. Kids on the Street – Children share where they get their ideas for their art. Wire, Paint & Clay – Meet wire artist Eleanor McKay, painter Juan Sanchez and potters Dolly and Jody. Meet Hani Shihada – LeVar introduces us to sidewalk chalk artist Hani Shihada who talks about his arts while creating a sidewalk drawing. Later, he makes his own chalk in his kitchen. I Am an Artist by Pat Lowery Collins. Click here for Theme Lesson Plan -- "Art"